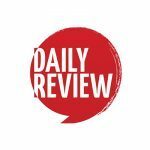 Fairfax journo slams musicians for refusing to work for free (at Fairfax event) | Daily Review: Film, stage and music reviews, interviews and more. Earlier this month, Sydney-based reggae band Black Bird Hum turned down an invitation from Fairfax to play at the company’s popular Night Noodle Markets event. “In October alone, we will have performed 15 gigs across three states as Black Bird Hum. We will have been paid for all of these gigs, often by companies with annual total group revenues probably less than 0.1% of your company’s. Now Elanor Watt, a journalist writing for The Advocate, a Tasmanian regional newspaper owned by Fairfax, has written an opinion piece slamming the band for its decision not to take part in the event and turning down all the “exposure” it would bring them. The piece initially called them “entitled” and “ungrateful” for turning down the offer, but has since been edited and softened online, following backlash. “The real question is, how strong is your passion and what are you willing to do to achieve your goals. “I assume most musicians love making and performing music, it is not one of those jobs that you simply decide to do as you don’t have any other choice, it is considerably passion related much like writing or sports. “The band seems ungrateful to a potentially amazing opportunity that has been given to them … Dismissing events like this makes me wonder where this band will be in several years time, if they consistently have in their heads they are too good to be even approached for an unpaid gig, what has made them so entitled. “We’re guessing that the sound tech who ran the PA on the night was paid; as were the graphic designers and marketing companies that did the event website, promo and marketing material; and the companies that supplied the lighting, tables, chairs and umbrellas; and the cleaners. And so on. “We’re guessing no one else was offered the chance to work on the event in exchange for ‘exposure’. musicians provide a service. Creating this service has costs associated with it which need to be paid for. If people don’t want to pay for it. Fine. You don’t get the service. Simple. Lucky it’s cheap to live in Tasmania-and if newspapers keep getting thinner-the SMH is but a brochure, you’ll find out what it’s like to work for nothing too. In order to make any money as a successful musician in this country- you’d better be where the action is, sorry but that’s NOT Tasmania. Try paying the rent in inner Sydney where your average knock down house costs $2 million +, so the rent won’t be cheap. Be careful next time you go to a gig- the roadies might gaffa you to the wall. I married a musician and roadie, lucky I have a good job-we’d never be able to pay for our special needs child otherwise. Honor and passion do not pay the bills, personal or band related, too often venues use your arguments to question a musician’s commitment to the Arts conveniently and self servingly so they can get free music. Quality music does not cost it pays. Well Eleanor Watt, you got your own “exposure” for your sanctimonious piece of rubbish. Did you get paid for it? Or was it all about your “passion”? I presume Eleanor Watt was paid for her article: but it was dotted with instances of poor grammar and dull writing. Perhaps she should put her work out there at no cost, hoping to be noticed, and get feedback on her performance so she can improve, before the paper pays her for any more written work. The times I have been asked to, or heard of, media pricks imaging you will be keen to do anything for this so-called ‘exposure’! Elanor Watt wrote “Hundreds of people would be honoured to play at such an event that draws in thousands of people, but hey, obviously royalties are more important to some people.” Just to clarify: royalties are what a composer/performer gets paid by APRA for their creative work, not anything to do with fees paid for live performances. I am opposed to playing for nothing (less than nothing when you factor in petrol, strings, instrument maintenance, depreciation etc.). If the organisation is a charity, then the band could charge their regular fee and then donate that fee, or a part of it, back to that organisation in exchange for a receipt acknowledging their donation – a valid tax claim. In all other situations, musicians/performers should be paid for their work. “Exposure” doesn’t pay the bills. Maybe Elanor is on to something. Maybe – just maybe – musos and other artists should start a bank, ‘The Exposure Card’, like Bartercard. Fairfax pay the band a few thousand “Exposure Dollars’ and they can trade them for things they need. Think how good Woolies would feel when you waved your ‘Exposure’ card at the Paypass terminal. I can see the warm smiles on the security guard as he waves you through. I see a problem though – Woolies would then expect to pay the farmers with those Exposure Dollars – farmers are already getting roundly dicked by Woolies. Elanor you should also run your corporate rants past a Subeditor. ‘Slander’ is spoken. When it’s written Elanor, it’s ‘Libel’. Rants like these never win you any friends. Artists are everybody’s friends – everybody appreciates and uses art in some form. Got an iPhone Elanor – an artist designed that. Any nice buildings or structures nearby – yes even in Burnie – an artist designed them. Wearing lingerie Elanor – yup another artist at work there too. I’m glad I live in Hobart where we have an art scene where artists are appreciated and paid. This has been a rub-off from MONA, David Walsh and Brian Ritchie (muso himself) are to be congratulated. If NW Tas thinks like Elanor we’ll soon see their artists down here anyway. Bob Geldof …. boy did he get it wrong!? Now, before anyone out there gets thier humourectomy booked, please understand that the opening statement was just a bit of giggle, glib at worst! Unless a band volunteers thier service for free, then of course they should get paid. Reading about an artist turning down work for “exposure” has sparked my interest. Already streaming them on Spotify, and hoping that others will support them in a way of their choosing as well. Streaming a song, on Spotify for instance, will net the artist(s) about half a cent (for the whole band). Want to contribute enough to buy the whole band a coffee each? Better stream their songs about 4000 times. Or listen to them 24/7 for eleven days straight. Don’t think that casually listening to a few songs per day will affect artists. Go to gigs, buy official merch instead :-) Spotify only benefits it’s owners and users, not the artists. In fact it takes away earnings it could’ve received otherwise. You’re a journalist… the reasons you’ve cited for the band to work for free also apply to you and your profession. If you’re passionate about your writing and the continued supply of information via reporting for a large multinational press conglomerate, surely you should also then be done non gratis, by you and every other journalist for no more than ‘the exposure’ you claim is so beneficial. I’ve worked as a creative for almost two decades, I tried taking a picture of me in a newspaper promoting a television show I was on to the dairy to trade if for bread and milk, unfortunately, they already had several copies of the same publication. Likewise, my landlord, my bank and my phone/internet provider were not remotely interested in accepting said exposure in lieu of cash or bank transferred funds. If Fairfax median wanted to support creative artists then its not done by hosting a concert where no one is paid, its done by hosting a concert where every act is paid more than they would have expected. Why not perform for exposure??? After all, supermarkets, power companies, Telstra all accept exposure as payment don’t they? There is no such thing as performing for free. If you don’t get paid then YOU are paying for the privilege of performing. It costs the performer MONEY to be involved. Maybe Eleanor Watt could tell us if the sound technicians, graphic designers, promotors and supporting personnel were actually paid for this gig. It goes without saying that she wrote her piece for nothing. Her attitude is common in other industries. Architects and designers are often asked to design for free – usually by developers who expect to make a killing from these project. I am a very good violin player who doesn’t want to play in my state orchestra (done) or teach. Fourteen years of lessons. Thousands of dollars spent on books. Thousands of hours spent practicing. An acceptable sounding violin and bow($12,000). Music degree HECS. Instrument insurance and public liability costs. I tried to play in a band and work but exhausting. “Can I get a free ticket, can you rip me the CD?” Now I would rather ruin my hands packing bags at Woolworths so I can pay my bills and stay awake. These comments by the journalist are disgraceful. As a musician of many years standing I am appalled that Fairfax, worth many millions of dollars, would even consider trying to screw the band for this gig. Any caterers, waiters or any other people who might have been involved in the event would have been paid. Why should the musicians be expected to do it for free and how dare Fairfax and the journalist assume that the band was so desperate for exposure that would do anything for free? It’s contempt and must be shut down instantly. Accountants love numbers and they always work for free. Doctors love blood and they never charge to wipe up or spill some. Engineers love roads and machines and electric things – just like Lego meccano etc, kids fun no need for payment. Teachers look after our future , but they get paid a little bit, don’t they? Lawyers always seek justice freely. Journalists love writing, so return all funds ASAP. Only people who hate their work need pay. Let me put this in simple terms…. A trained chimpanzee can be a journalist, it doesn’t require a brain to write the drivel that is frequently published. However, a musician has to practice for thousands of hours before he is ready to go on a stage. All this whilst doing another job to feed himself, and once he is proficient at his craft, he may well turn semi-professional which means He has to use his musical ability to part pay his bills. Once professional he has to work bloody hard in this business to make ends meet. A day off or a free gig means no money raised. Being self employed is hard work, being a professional musician in todays industry is not a job I would want to do. Being a musician is no longer about easy money from lucrative record contracts that were around in the 60’s,70’s and 80’s. It’s about hard work, commitment and dedication. The band absolutely should be paid for their work, but it is false to assume nobody else had to fight for that as well. The sound tech, marketing, rentals, etc. The kind of promoters that don’t like to pay people, do not discriminate against musicians. They don’t like to pay anybody. As a sound engineer and owner of a production company, I constantly get requests to do shows for nothing or nearly nothing. Sometimes it’s “this is a fundraiser, and if we pay you, we won’t make anything for our cause”. Sometime’s it’s “we’re a small band and took the gig for $100 plus a percentage of liquor sales, if enough people come, so we don’t have any money for you”. Sometimes a shady promoter tries a “I really need this event to go well on a tight budget, if you can take care of me, I’ll throw a lot more good paying work your way in the future”. All of these things get the same response: not my problem. My costs are fixed, so my price is too. I take good care of my repeat customers when they need something extra, and have an annual budget for in-kind donations for good causes. But if you’re not one of those exceptions, there is nothing else to talk about. Good on the band for sticking to their guns. Onya Vlad, for highlighting some of the various ways people try to fleece entertainers. What about Casey Donovan’a recent “GoFundMe” (or whichever freeloader fundraising thing) campaign, to raise money so she can record an album… Seriously… Weren’t we taught as children that if we wanted something, we had to work to get it? Try paying your mortgage, buying groceries or guitar strings, or filling the band van with “exposure”! Eleanor Watt has taken a leaf out of the Eric Abetz songbook. Workers, even musicians, expect too much. Perhaps you could ask Eric if his church choir is free for the gig. Mongrel mainlanders, expecting pay. Phew! A very brief squizz at her public FB page suggests she isn’t really short of a few quid herself. I don’t imagine she understands. Anything. Reading the comments here that overwhelmingly support the position that Black Bird Hum bravely took has helped restore my faith in humanity! Ms Watt, musicians spend hours in practice when the rest of us in other professions are working. And then their real work starts when we are ready to relax. It is a hard life for the most part. They do it because they are passionate and it is a calling. Most musicians make just enough to survive. I don’t see any sense of entitlement in wanting to earn enough to survive. Perspective please! Ms Watt has perhaps never tried to learn music, and has no idea how much effort it takes to become a musician. Would they have played for all the noodles they could eat? Playing in exchange for a meal is not the worst thing when a band (or an actor etc) is starting out and still has some ways to go. But there really is no discussion with an established band. It’s a paradigm that just needs to be changed. Elanor Watts, you’re entitled to your opinion. But your entitled opinion makes you entitled indeed. Were you paid for your ill-informed article? Perhaps not, since you seem to be an active example and advocate of exploitation. We, as musicians and artists need not explain ourselves. What you propose is preposterous and boarders on human rights violations and discrimination. What I will say is artists can blame each other for this sad state of affairs. There are too many people like you, a participant in the arts (or at least an apparent writer), who continues to undercut the value of the industry. Unfortunately, it happens in every dark corner of the freelance community including builders, contractors, consultants, home and child care, etc. Congratulations! You have your exposure. Now how are you going to use it? I am a pensioner on a low income. I hold house concerts in my home. I invite professional musicians to perform to a small gathering. I feed and accommodate them for the night and I pay them by asking a cover charge from the audience. They are entitled to be paid and treated with respect because they are providing a wonderful service and have taken years to develop their skills. Corporate greed is killing this country and Fairfax is an outstanding example. Why did a Tasmanian regional newspaper write/publish an op-ed about a Sydney-based reggae band not playing at a Sydney Night Noodle Markets event? Hey, hang on…Elanor WATT wrote her opinion piece for free – and look at all the exposure she’s got – lots – and just about all negative – and given the spelling of her given name – memorably so! What? She was paid? Really! Tsk! Tsk! Do as she says, not what she does! Hypocrisy! Bravo to Black Bird Hum! Who have now had world-wide exposure for their principled stand – so Eleanor’s fears for them have actually proved to be unfounded! Cheers pal. I do apceiprate the writing. They were very polite considering the attitude of the “journalist,”well noted Duncan. As someone else suggested that it’s pretty clear why she is working for some local rag in some tin pot town, in Tasmania, and the general observation is that if she is so definite in her feelings around the ideas the musicians should work for “the exposure,” that she may be should do exactly that. But I somehow doubt she would do that, she is like a lot of commentators, they’re arrogant enough to pass judgement from the sidelines but aren’t actually prepared to act on their own advice. For the exposure you say? Eleanor my dear – you are referring to artists who’s livelihood depends on their chosen profession, just like journos and bankers. Fortunately for us, many artists are passionate about their art, enough so that they, for the most part, sacrifice the security and blessings of a decent paycheque in order to do what they do or otherwise sacrifice social and familial connections by working a ‘real’ job to support their art in their ‘spare’ time. As a film maker, I often hear the ‘do it for the exposure’ catch cry. I’ve seen it erode vast chasms in the creative world and we all end up suffering. Passion is almost impossible to sustain when you’re doing it tough financially, new blood and ideas whither away, and culture turns flat, and unquestioning dull. Black Bird Hum did the right thing, morally, ethically and professionally. And as far as the whine about arrogance and exposure – it holds as much weight as the insolence of a spoiled, self entitled child without much of a clue as to the real world. Good call Black Bird hum – I’ll shell out my hard earned cash any day to support hard working people. I think this is an appalling attitude, that musicians should be asked to play for nothing. The idea that musicians should structure their professional lives around the possibility that what happens in a movie might happen to them is simply childish. I’m also appalled that this journalist doesn’t know one of the basic principles of sentence structure. Stringing clauses together with commas indicates sloppy thinking, sloppy writing, and sloppy editing. Perhaps the editors also refused to work for “exposure”. I would like to offer you the opportunity to do some media work for me in Sydney. Being in a state with a little population, I’m sure that you realise that the Sydney exposure would be worth more than mere money, so I do expect you to take this opportunity without mere fiscal reward. I look forward to your reply, so that we can then get on with discussing the work further. Hey Elanor Watt from The Advocate in Tassie – I want you to write a novel for me. I won’t pay you of course but think of the exposure! Seriously, where is her head? The band in question already works and gigs widely, all paid. It’s not as if they are just starting out. It’s not just musicians either. I have journalist friends who are very established who get asked to speak at events or write articles for free. And like Duncan Wass says above (hello Duncan!) actors are asked to work for free all the time, again for that mythical ‘exposure’, often on short films where all of the crew is being paid. Could be worse. There are bands that play at side events at SXSW in Austin, Texas that actually have to pay to play. Hip-hop artists are particularly vulnerable to this practice. Would you ask a doctor to perform a ground-breaking operation for free because of the “exposure” they would gain? Of course not! Musicians, actors, artists and dancers practice, train, rehearse and study for many years in order to reach a standard where they can pursue a professional career. Some never make it! They often study and practise for more years than it takes to quality as a doctor. As a musician myself, I am disgusted at this view that a career in the Arts is not a “real job”. Where would we be as a society without creative people? No music, no art, no dancing, no drama! I have also been asked to play for free by a corporation. This is is so wrong! Good on you for not only refusing such a transparently ridiculous offer, but also standing tall to make your case! Ms Watt shouldn’t be condemned for her ignorance, after all, it’s the official policy of the Australian Government to treat artists as fanciful children who should get a real job. Fairfax press also recently reported an artist winning a portrait prize with the headline: “Cleaner wins $150,000”. Those cleaners are pretty talented hobbyists. I’ve worked in the performing arts for much of my career and hear this all the time. The free exposure excuse rarely equates in value and is just another ignorant throw away line by people who have no respect for the performer. This same view has just been confirmed by the Federal Minister for Education and Training who thinks the Arts is a lifestyle choice and isn’t real work. Performers are very generous when it comes to worthy causes. Erm, this is going to sound snarky, but it’s an honest question: is Daily Review paying its contributors these days? I know in 2013 this certainly didn’t seem to be the case, but things may have changed. Daily Review has always paid its contributors. And the band played on and on and on and on for nothing for nothing for nothing for nothing. It is this attitude that sees the majority of musicians living below the poverty line in this country, driven, it seems by exultant passion alone because musicas Duncan suggests, does not, of course, require the development of any skill sets prior to one taking it on as a profession – oops – an amateurship. It is just an attribute one is ‘gifted’ with. Look at Mozart! Unfortunately passion doesn’t pay the rent or feed the family. How dare musicians choose a career they are engaged with, excel at and find fulfilling. Does that mean the rest of the working population does not have these attributes?That’s a little scary. Australia continues with its medieval minstrel mindset. Medieval minstrels were highly regarded and well rewarded, in some societies it was the height of bad manners to interrupt them. The Australian zeitgeist fails to rise to a medieval standard. Well Rob, minstrel means ‘lesser’ so on many occasions they were treated as servants – though I think later as travelling minstrels they became quite political in their reflections on society, so I guess when serving at the pleasure of ‘his lordship’ it may have depended on who was at the helm, but absolutely, the Australian tide is no higher in regard to current attitudes to musicians, only as a result of climate change! There’s no need to wonder where this journalist will be in several years time, she works for Fairfax so she will be unemployed. Then, maybe, she can put her theory of writing for “exposure” to the test and see how that works out for her. As for artists being “entitled”, nothing stinks of entitlement more than a once mighty newspaper publisher screwing artists for its own benefit, even as it kneels, head on the block, before the executioner. The content of Watt’s opinion piece is a good indicator of why she works where she does. Or perhaps she does it for free because it’s her ‘passion’? Dismissing music and musicians like this makes me wonder where this journo will be in several years time. The Fairfax company’s original offer reflects a basic malaise influencing the nation’s miserable attitude toward the arts in general. Sick. Perhaps Watt should write all her articles for free ‘exposure’ as well. Who knows, such ‘unpaid exposure’ might get her writing for the big towns in Tasmania – perhaps even the bigsmoke mainland. Yep, this is really common. Good on them for standing up for the value of their creative art and demanding the respect that everyone else gets. And this Fairfax journalist – she works for free, I assume? Because really, writing articles is a choice, she must enjoy it, and think of all the people will read it and might offer her MORE opportunities to work for nothing other than “exposure”. She is obviously sucking up to her employer. Goes on all the time. Artists, actors, musicians etc etc. It’s not really work cos you love it and it’s piss easy to do, so just do it for nix. Great to hear someone stand up and say NO! Actors work for nix (as Noel Hodda, Duncan Wass and myself know really well) all the time when they pitch for commercials,plays, films and television work.They are paid meagrely only when(and if) they are “called back” which in 99% of cases -is never !They are represented by a legless union and a league of timid agents unlike the powerfull musician’s union whom I’m sure would be most intrigued by the offer made to that band. Not many musicians would relish that job of playing on a Friday or Saturday night( when they more than likely can get a paid job on those days)- just for exposure.Come on !! All creative artists are in a ‘no win’ situation unfortunately as there are way too many of us going for that one job. David, this is not ok. I realise you’re not taking the journos side, but the fact that it happens everywhere doesn’t make it ok. The acting industry should be ashamed of themselves for treating the heart of the craft this way. It’s disgusting. I agree, however, that in certain circumstances providing your expertise for free would depend on the client, the project, and the product. In this case, the client is Fairfax. FAIRFAX! The project is a party with booze, catering, and staff – absolutely without question all paid for. The product is entertainment provided by a well established well afforded band. How is your comment then relevant here? We’re not talking about whether artists should be paid for EVERYTHING they do. Of course not. We’re talking about exploitation. Pure and simple. And this is what needs to change. All the best with your craft my friend. I have respect for what you do. The ‘powerful’ Musicians Union??? When did you last check?